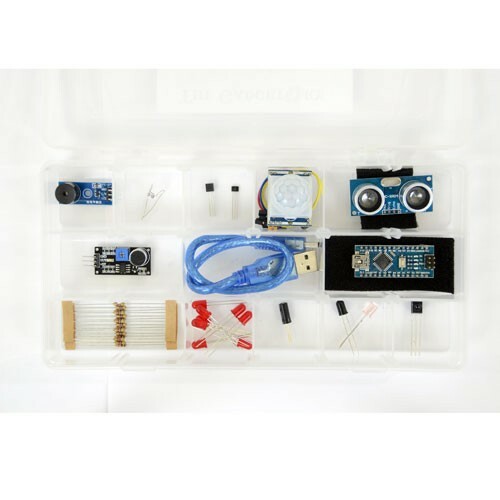 This components kit includes everything necessary to program an Arduino Nano microcontroller board and interface it with several difference sensors. 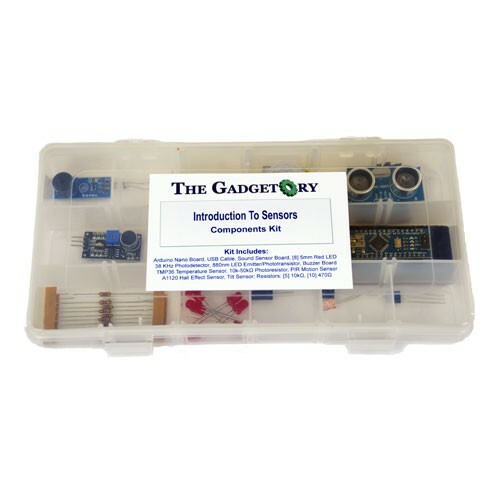 The wide variety of sensors included with this kit gives you a good overall experience of the different type of enviornment inputs are available in modern electronics. 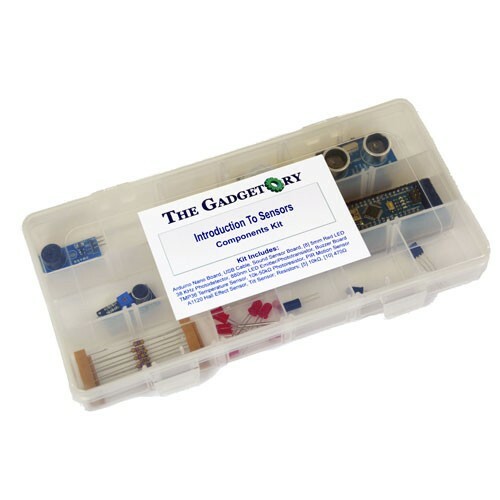 These parts are meant to be used with the PyroElectro.com's 'Introduction to Sensors' course, which teaches the basic theory behind several different sensors, and shows you how to use these parts to build cool circuits.